Business, biosimilars and Brexit are the themes of this week’s top 10. While Roche signed a $1 billion deal with SQZ Biotech, MSD’s and Samsung Bioepis’ deal fell through. Meanwhile Pfizer announced a cull of 2% of its staff amid a widespread restructuring. However this week’s pharma deals were overshadowed by the news surrounding biosmilars as Amgen launched the world’s first biosimilar of the world’s bestselling drug Humira. Meanwhile Trump launched legislation against monopoly biosimilar firms. Nevertheless it was Brexit that took the top spot after AstraZeneca were revealed to have halted investment into the United Kingdom. 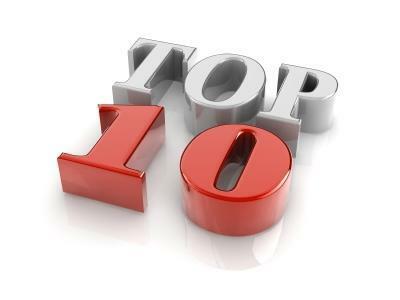 Check out this week's top ten stories on Pharmafile.com now! MSD has reportedly terminated a previous agreement with Samsung Bioepis which would have seen them collaborate on a biosimilar version of Sanofi’s Lantus (insulin glargine) for diabetes. Hot on the heels of Amgen, Samsung Bioepis and Biogen have announced the launch of their own biosimilar version of Abbvie’s best-selling drug Humira (adalimumab) in Europe. Swiss multinational Novartis have joined German pharma firm Bayer in appealing a High Court ruling over 12 NHS clinical commissioning groups (CCGs) decision to use a cheaper alternative to the two company’s treatments for wet AMD. Amgen has announced the launch of a proprietary biosimilar version of Abbvie's best-selling drug Humira (adalimumab) across all European markets, beginning 16 October. The Massachusetts-based cell therapy company SQZ Biotech, has announced the expansion of its collaboration with Swiss pharma giant Roche, in a deal that could be worth up to $1 billion. Two commonly prescribed painkillers are set to be put under tighter controls in the United Kingdom after a number of deaths were linked to their use. The Anglo-Swedish pharma firm AstraZeneca has suspended investment into the United Kingdom, due to the uncertainty surrounding Brexit.